Help maintain Brower Park’s native plant Monarch Butterfly Garden habitat, and the park’s trees and plants. Enjoy a season of Natural Discovery. Work side-by-side with your neighbors. Become a Brower Park Steward. Help inform our community about the need to preserve and protect Brower Park’s plants and wildlife. Learn about the ecosystem that is being established by natural forces in the Monarch Butterfly Garden Habitat. Sundays: May 7, June 11, August 20, October 15 (plant Daffodil Bulbs & Harvest Seeds). Saturdays: May 27, July 15, September 16, November 18 (Leaf Crunch). Join Us for Free Special Events and Programs. August 20, 2017 Build your own Worm Bin to house your pet Red Wigglers. Making Paint from Plants (tbd). Hammered Leaf and Plant Printing. Design a Mosaic with found natural objects. Seed Harvesting from the Monarch Butterfly Garden. Brea(d)th of America Open Mic style events (May 21, 2017). 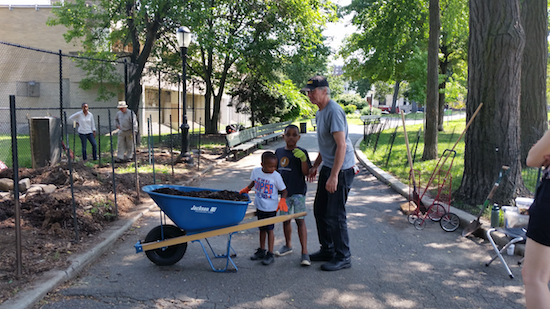 Send Friends of Brower Park, Inc. your suggestions for programming and projects. We need your input to design our programs to reflect the Brower Park community.